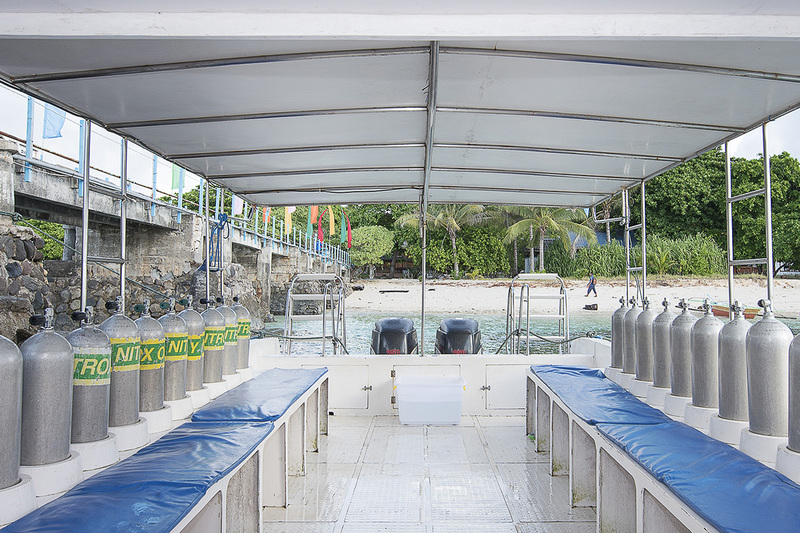 If you’ve traveled to dive destinations or are a diver yourself, you’re sure to have heard about Nitrox. This may be something you’ve researched a bit about or may not know anything about it. In this post we’re going to talk about scuba diving with Nitrox and how it could add to your diving experiences. First of all you might be asking ‘what is Nitrox?’. Quite simply, it’s air with a higher percentage of oxygen than the air we normally breathe. Usually air contains 21% oxygen and 79% nitrogen. Nitrox, or enriched air, commonly blends 32% or 36% oxygen. What are the benefits of increasing the oxygen? In fact, the question here should be “what are the benefits of decreasing the nitrogen?”. When you dive nitrogen builds up in your body. Nitrogen build up can cause gas bubbles to form in your body and can lead to compression sickness. 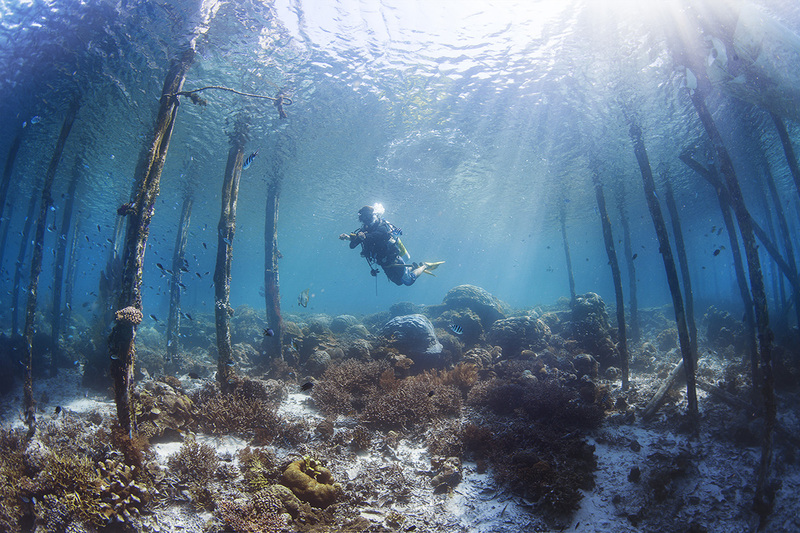 This is why your ‘bottom time’ is carefully calculated and closely monitored when scuba diving. Decreasing the amount of nitrogen in your air means you can slow the build up of nitrogen in your body. This allows divers to spend more time under water. At 18 metres you will get just under an hour of bottom time using normal air, but with 32% Nitrox, which is available with Gangga Divers, you can stay under for just over 90 minutes! Half an hour more is a huge bonus for divers. Apart from longer dive times, using Nitrox has a couple of other benefits. With less nitrogen accumulated in your body you won’t need to wait as long in between dives. Surface intervals are all about releasing the nitrogen from your body, so less nitrogen means less time out of the water, and this all leads to more time for diving! It’s also possible that without the build up nitrogen you may feel fresher and less tired after diving. Of course this differs from person to person, so isn’t easily proven. Many people believe that because you’re under the water longer you can go deeper while diving with nitrox. However, this isn’t the case. When you increase the amount of oxygen in your air blend your maximum dive depth actually lessens. With normal air you can dive to a max of 56 metres, but with 32% Nitrox this drops to 34 metres. Spending more time in the water is what really counts here, not how deep you can go. 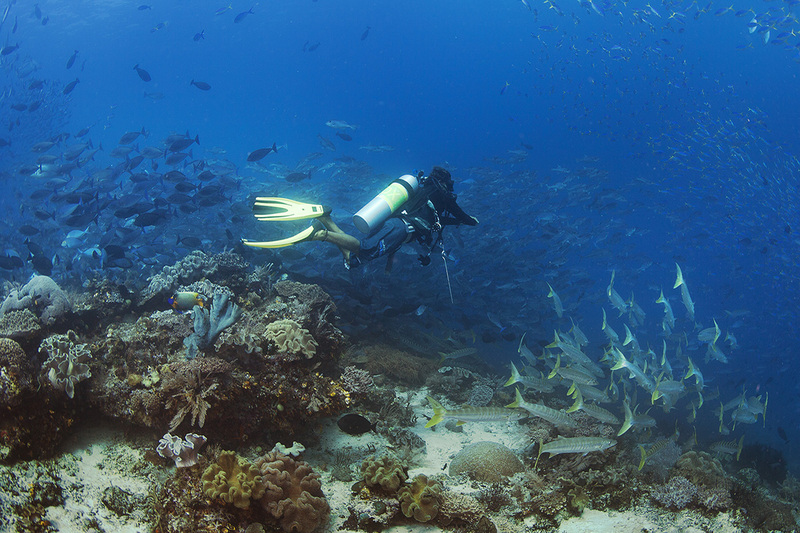 Luckily most of the reefs around Gangga Island are less than 25 metres, so diving with nitrox is perfect. If you would like to get nitrox certified PADI’s Enriched Air Course is the most highly recommended by dive masters. 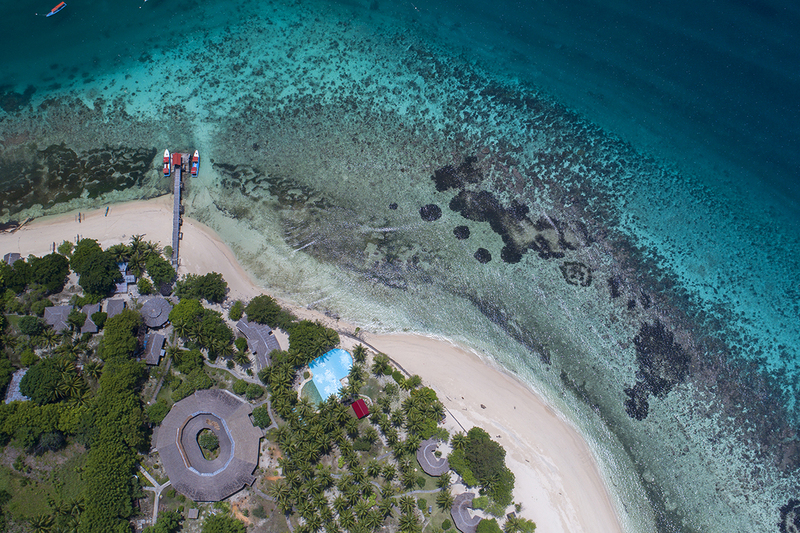 This course can be completed in half a day and is offered by Gangga Divers at Gangga Island Resort & Spa (as well as the Gangga Divers locations in Lotus Bungalows Bali, Papua Paradise Eco Resort Raja Ampat, and Villa Almarik Gili Trawangan). During the course you’ll learn about the mixture of air and how the different levels of oxygen and nitrogen affects you. You will also discuss managing oxygen exposure, practice analyzing oxygen content in your scuba tank, and set your dive computer for diving with enriched air nitrox. If you would like to be able to dive with more no decompression time getting nitrox certified is your next step. If you have any questions about getting certified or diving with Gangga Divers with enriched air, feel free to leave us a comment below.